On a beautiful day in Liverpool, Jim Clark won his second grand prix of the season in impressive style, leading from start to finish. 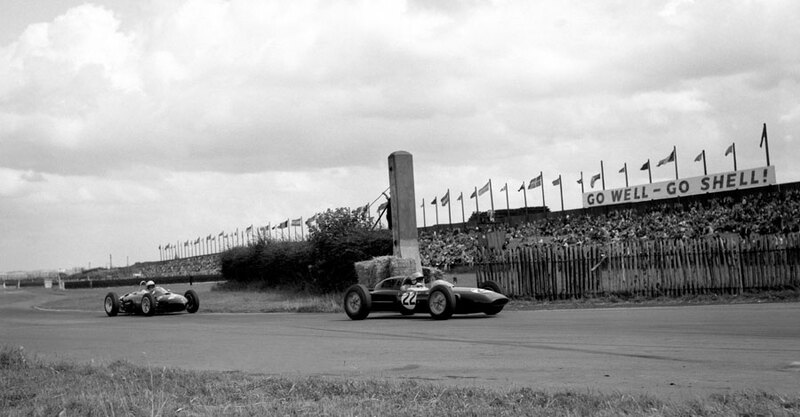 Held at Aintree for the last time, the British Grand Prix proved to be a showcase for British cars, with home-grown marques taking the first three places. Although the Italian metal workers strike was over, Ferrari only managed to get one car ready for the race, with reigning world champion Phil Hill in the driver's seat. He didn't have a good weekend, only managing to qualify 12th and retiring before the end with engine trouble, admitting afterwards; "It wasn't fast enough, and then it broke down." Clark, who had dominated practice, took pole, with John Surtees and Innes Ireland next to him on the front row. As the flag was dropped, Clark accelerated like a rocket and was already 30 yards ahead of Surtees going into Waterway corner. Ireland had gear trouble from the beginning and never really got going, limping his way through the race. Surtees was unable to challenge Clark properly as he developed gearbox problems and was unable to use fourth gear for much of the race. However, Clark felt his win was anything but easy: "I had a great deal of trouble trying to shake off Surtees. It was not until halfway through the race that I began to make any impression on him." Dan Gurney's Porsche looked for the first 12 laps as if it would be a serious threat, lying third just behind Surtees. But it began to slow down when the clutch started slipping, and fell back through the field. Gurney's team-mate, Jo Bonnier, retired after 26 laps with a broken transmission. Graham Hill was never able to match the speed of Clark, but drove immaculately to finish in fourth, behind Bruce McLaren, who had driven through the pain of a burned foot from the heat of the radiator, and Surtees who was nearly two minutes ahead in second. Hill picked up three championship points, putting him one point ahead of Clark with four races to go.